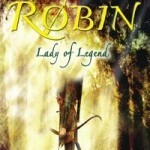 Currently viewing the tag: "ABNA"
Robin Makes It to the Second Round of ABNA! 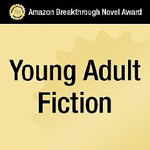 Yesterday, Amazon.com announced the second-stage winners of its Breakthrough Novel Award contest. I am one of them! That means I am one step closer to the grand prize: a publishing contract with Penguin, which includes a $15,000 advance. 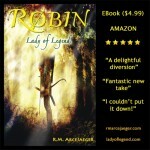 I’ve entered my book, Robin: Lady of Legend in Amazon’s Breathrough Novel Award. The winner gets a publishing contract with Penguin Group! I’ll keep you posted on how I’m doing.